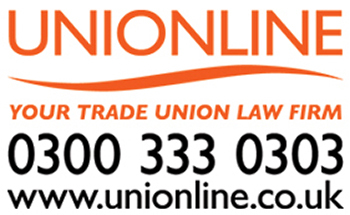 GMB are supporting a parliamentary demonstration and rally by the National Union of Rail, Maritime & Transport Workers (RMT) held on Tuesday 29 January, in solidarity with London Underground Cleaners. London Underground’s 3000 cleaner workforce have been treated less favourably than other workers directly employed by London Underground since signing a five-year contract with global contractor ABM in August 2017. This including having inferior sick pay, holidays, pensions and travel facilities, despite working unsocial hours, in dirty and hazardous conditions. More pressure is also set to be put on these hard-pressed workers as that workforce is set to be cut by a third to 2000. “GMB are supporting this demonstration on 29 January which is calling for no cuts to cleaning jobs, equal conditions to other London Underground workers, and to bring all the underground cleaning back in-house. “Plans to cut the cleaning workforce by a third not only raises serious concerns about the quality of cleaning in the future but also adds to the pressures already endured by London Underground cleaners. Especially if the whole of the Underground system is expected to be done by a third less staff.